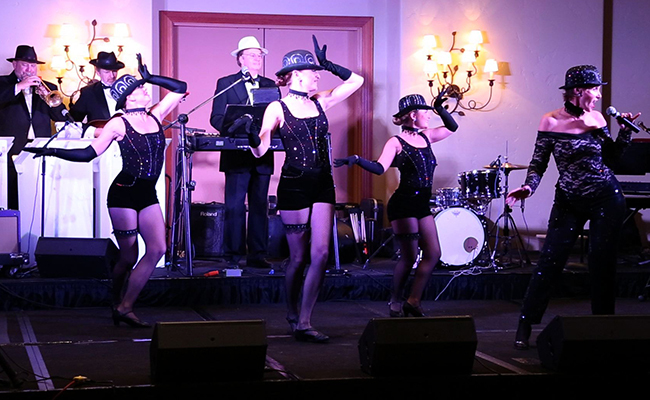 Our Cabaret show includes a mix of musical numbers presented in an intimate, relaxed setting. 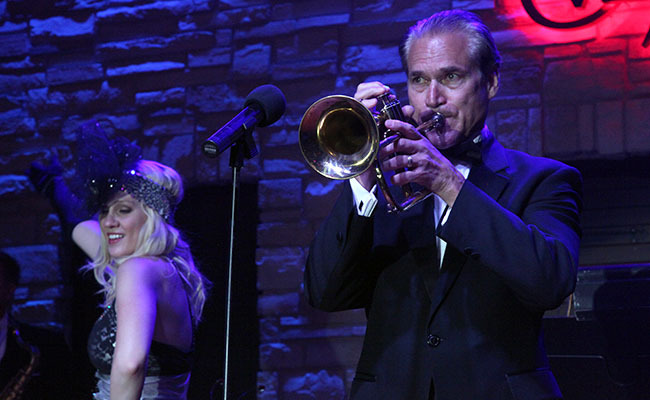 Songs include All that Jazz, Sway, and, of course, Cabaret. 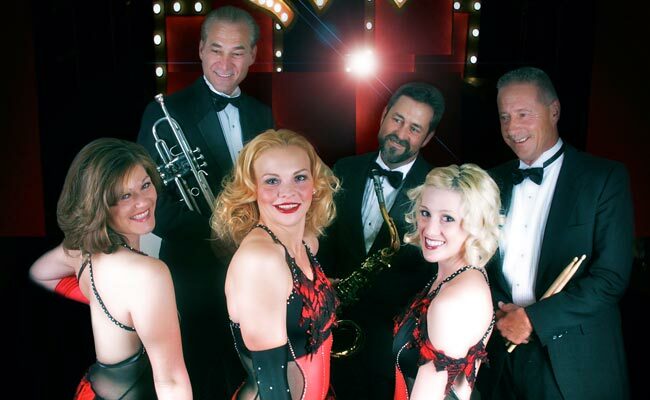 They explode into a brilliant orchestration by our sultry lead singer who interacts with our jazz dancers, and our dynamic band who not only accompanies the show, but also ornaments the Cabaret with true talent. Three to four costume changes are included. 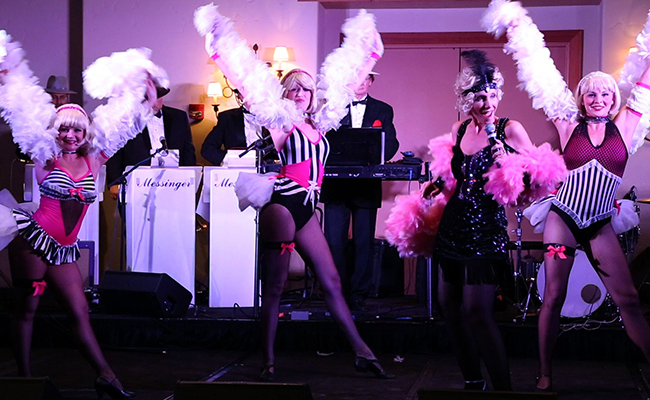 Savor your next cabaret party by having a zestful evening of fun. Hire our ‘Come To The Cabaret’!